Shout Hosanna to the highest with this iconic new series! This dramatic design, exclusive to Promise Checks, portrays the powerful images of a cross, crown of thorns, palm branch and empty tomb. Four rotating verses and subtle backgrounds are combined with beloved symbols of faith in this classic series. These 6 1/4" X 4 1/2" flat cards include free personalization and envelopes. 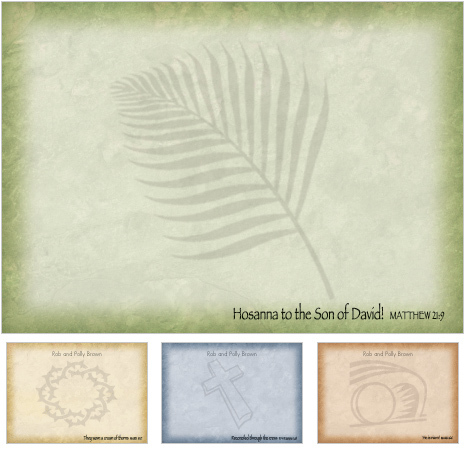 Order Hosanna cards and make an impact for Christ.